During the month of January, students at the Valley View High School will be participating in the Keystone Exams in the areas of Algebra 1, Biology, and Literature. Beginning in the 2012-2013 school year, Algebra I, Literature, and Biology Keystone Exams replaced the 11th grade Pennsylvania System of School Assessment (PSSA) tests in mathematics, reading, and science for purposes of satisfying No Child Left Behind (NCLB) and School Performance Profile requirements. Keystone Exams are meant to be an "end of course" exam. 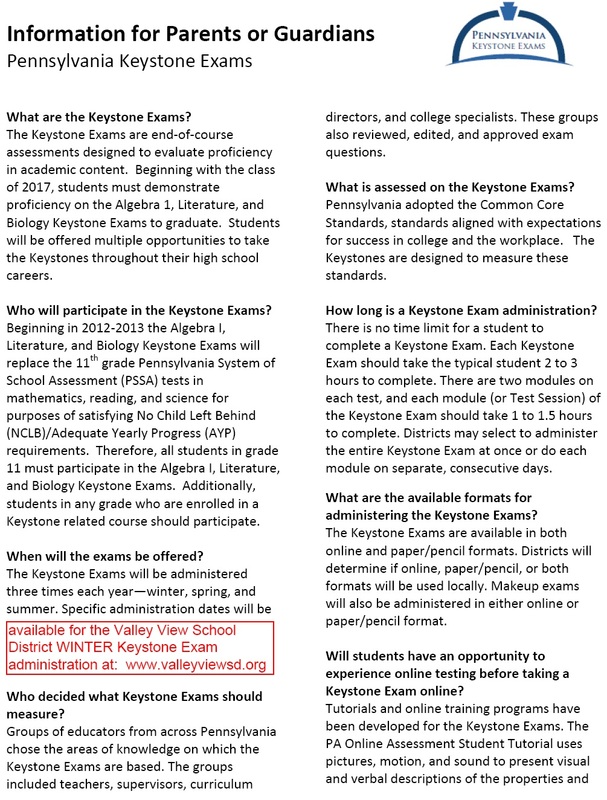 With that in mind, students in any grade who are enrolled in a Keystone related course (Algebra I, Biology, English 10) will participate in that Keystone Exam at the end of course. For example, students typically take Biology during the sophomore year of high school. The student will take Biology Keystone Exam at the end of the course whether in the fall or spring semester. Any student that has not scored Proficient or Advanced on a Keystone Exam will be scheduled, if possible, to retake the Exam during the next Keystone Exam window. Please see a teacher in the high school math department for a copy of the Algebra I Keystone Exam resource guide. Please see Mrs. Zabielski or Mr. Howanitz for access to USA Test Prep. The Valley View School District has purchased access for all of our high school students to USA Test Prep - Biology. Use this resource to review biology content and take sample exams. · Listen to, read, and follow all directions given. · Ask questions if you do not understand the directions. be sure to read any open-ended items and writing prompts carefully before responding. · Keep your eyes on your own test. · Try to answer each test item. booklet or submitting your final responses online. · Report any suspected cheating to your teacher or principal. · Bring notes with you to the test. calculator, if applicable, to the test. · Share a calculator with others. possible correct answers. Mark only the bubble for the one correct answer you have chosen. 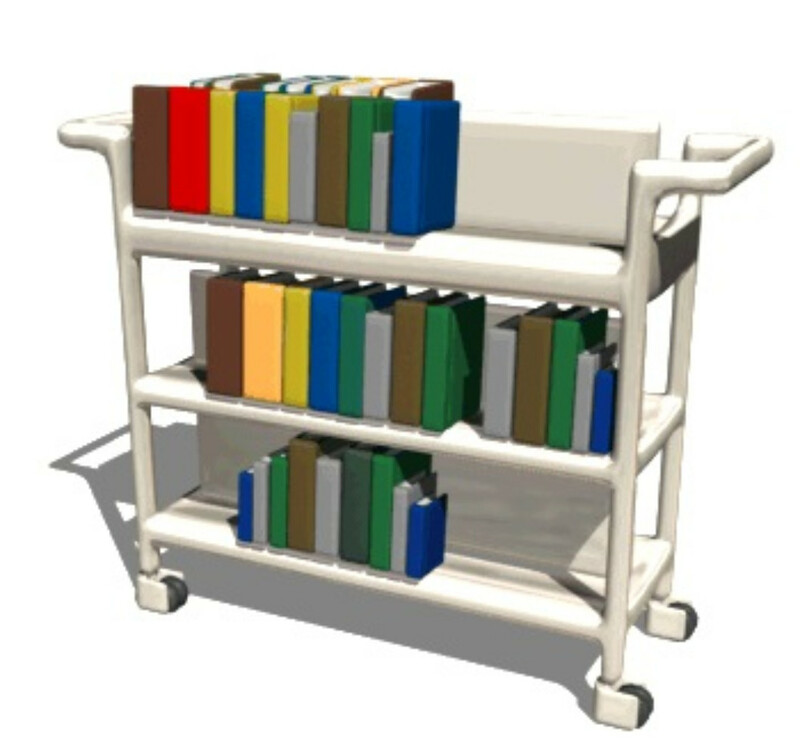 · Talk with others about questions on the test during or after the test. · Take notes about the test to share with others.